Ang Larawan or internationally known as ‘The Portrait’ is a 2017 Musical Drama. It stars Joanna Ampil, Rachel Alejandro and Paulo Avelino as the movies lead. Directed by Loy Arcenas and Produced under Culturtain Musicat Production. It is an offical entry to the 43rd Metro Manila Film Festival. Prior to that Ang Larawan had a premier on Japan Last October 30, 2017 as part of the 30th Tokyo International Film Festival. Ang Larawan is based on the 1997 stage play ‘Larawan’ which is also based on the 1950 Literary Play ‘A Portrait if the Artist as Filipino’ by the late Nick Joaquin. The film takes place in 1941 just before WW2 in Intramuros. It follows sisters Candida (Joanna Ampil) and Paula (Rachel Alejandro) who is in conflict whether or not to sell their father’s painting; His final masterpiece. Because the sisters are suffering a financial crisis they are encouraged by their older brother (Nonie Buencamino) to sell both the painting and the house. The film also features a cameos of celebrities including their musical director Ryan Cayabyab and his wife. Ang Larawan gives a feel and glimpse of old Manila, its culture, people and history. Not just another cliche film presented every year, truly one of Philippines finest literature and film, this film in every detail is original as it is a true filipino gem. This film proves how creative and artistic filipino’s can be. 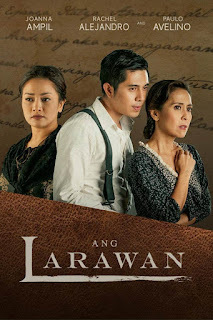 Ang Larawan was the most critically successful film at the MMFF. 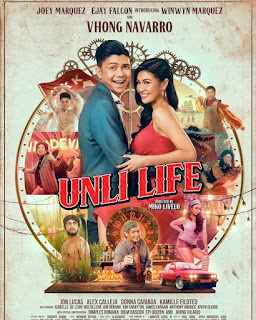 With six wins, including; The prestige Best Picture Awards, Best Actress (Joanna Ampil), Best Musical Score, Best Production Design, The Gatpuno Antonio J Villegas Culture Award and Special Jury Price Award. Supporting characters include; Cris Villonco, Nonie Buencamino, Zsa Zsa Padilla, Rayver Cruz, Ogie Alcasid and Jaime Fabregas. This film is highly recommended for movie enthusiast.